Guest speaker Rakia Reynolds founder of Skai Blue Media. 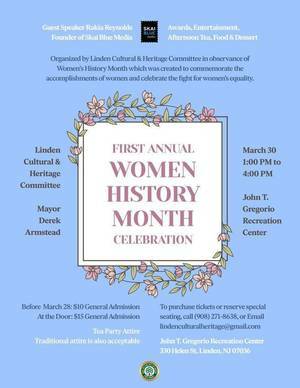 Awards, Entertainment, Afternoon Tea, Food & Desserts. 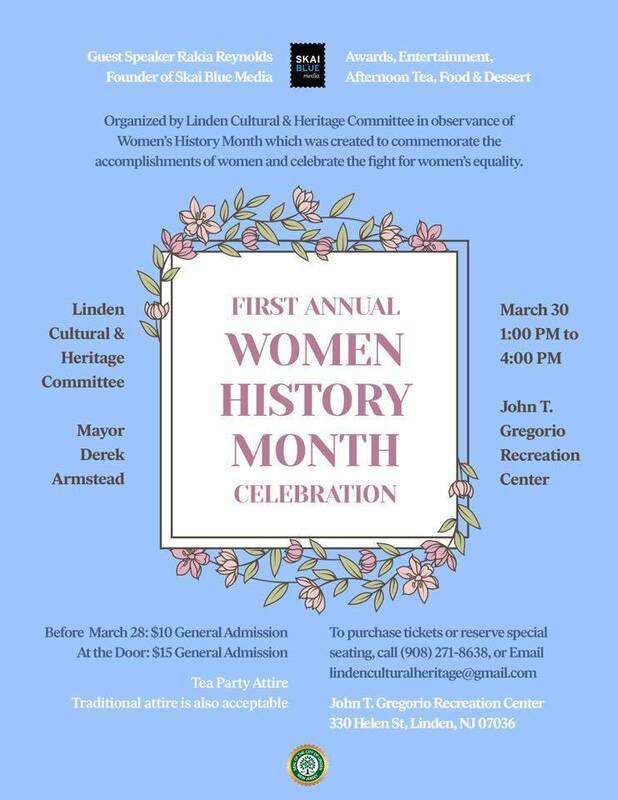 Organized by Linden Cultural & Heritage Committee in observance of Women’s History Month which was created to commemorate the accomplishments of Women and celebrate the fight for Women’s Equality.